The largest of the 3 apartments can sleep 4-6 people (double bedroom, sturdy bunkbed bedroom and a large comfortable double couch bed). This beautiful two bedroom apartment is located on the ground floor within the San Rocco 2 complex, in a block near the swimming pool. The apartment is spacious, peaceful and easily accessible. As it is not overlooked by other apartment blocks, the apartment affords a relative amount of privacy. The outside patio is partially shaded, providing a welcoming refuge from the sun after a day at the beach. The complex carpark is also easily accessible from the apartment, located directly in front of the apartment patio. There is a spacious kitchen with a large fridge-freezer, plenty of space for chillin’ the beers. 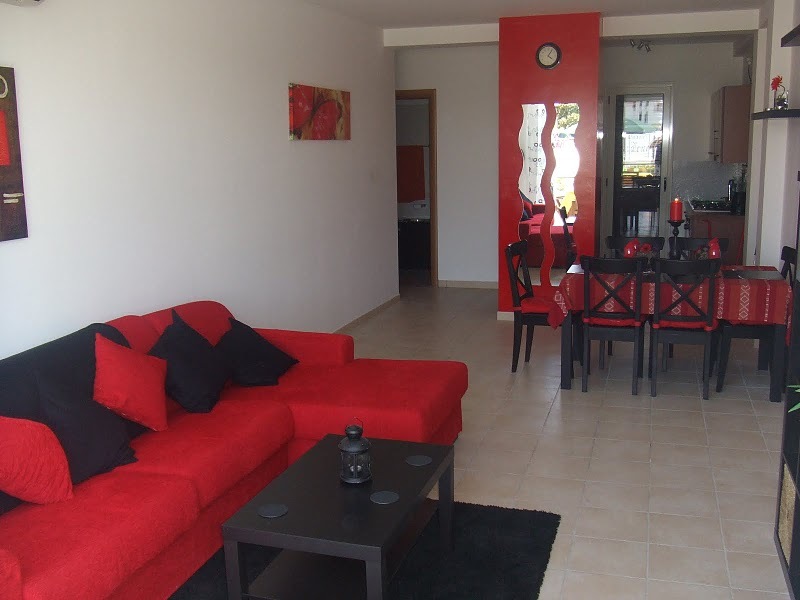 This apartment is ideal for duel renting with Apartment 2 as they can be accessed from the patios via gates. The apartment is stylishly decorated and includes everything you will need to enjoy your stay, including extendable dining and outdoor tables to seat 10 people, a 32″ HD TV and DVD (DivX) player, AC in all rooms, gas cooker and a washing machine.